I have a broken blood vessel in my eye, and my eye doctor says it will go away on its own. Can I do anything to make it go away faster? What you have is a subconjunctival hemorrhage, the medical term for ruptured tiny blood vessels beneath the conjunctiva, the clear surface of the eye. The leaked blood will be reabsorbed naturally without any treatment needed in about seven to 10 days. The condition is painless and harmless…most of the time. Subconjunctival hemorrhages are common. They can be caused by seemingly ordinary activities, such as coughing, sneezing, vomiting, straining while using the toilet or while lifting something heavy, rubbing your eye too hard or getting hit in the eye. There really isn’t much you can do to speed up the reabsorption process. However, you can take steps to keep it from happening again. And it’s a good idea to make sure the condition isn’t a sign of something more serious. MORE THAN A BROKEN BLOOD VESSEL? 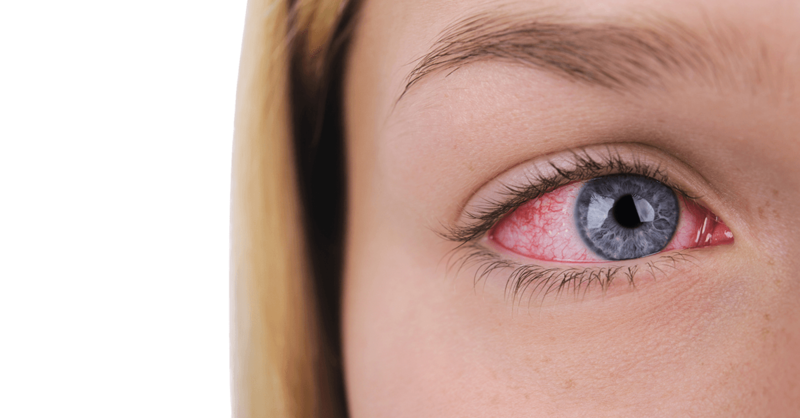 Sometimes a subconjunctival hemorrhage can be a sign of a serious eye problem, such as glaucoma…or a serious health issue, such as high blood pressure or a bleeding disorder…or an indication that a medication dosage needs to be adjusted. Important: Don’t delay letting both your eye doctor and your medical doctor know if you also have pain in your eye, changes in vision or discharge from your eye. You should also mention if you tend to get subconjunctival hemorrhages often—such as six months or less apart. Some medications and supplements can make you more prone to subconjunctival hemorrhage. These include blood-thinning medications, such as warfarin (Coumadin) or apixaban (Eloquis) and aspirin…and supplements, such as fish oil and vitamin E. Some prescription anticoagulants can cause bleeding that is heavy enough to cause your conjunctiva to bulge out before it stops. If you rub your eyes a lot because they feel dry, itchy or irritated, your doctor may prescribe moisturizing eyedrops or medication to control allergies or dry eyes. The herb arnica has been used to prevent bruising after surgery and may also help prevent subconjunctival hemorrhage in people who bruise easily. The good news is that your “bloody” eye will soon be back to normal. In the meantime, if it bothers you, look cool with designer (or funky) sunglasses!